We just couldn’t wait to share yesterday’s wedding with you! 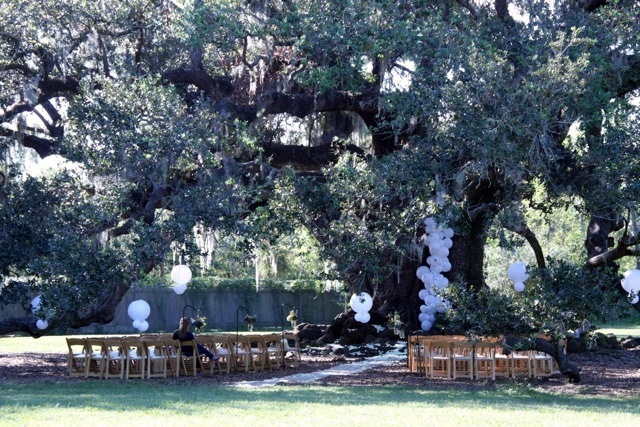 The beautiful outdoor ceremony took place at The Tree of Life in Audubon Park. 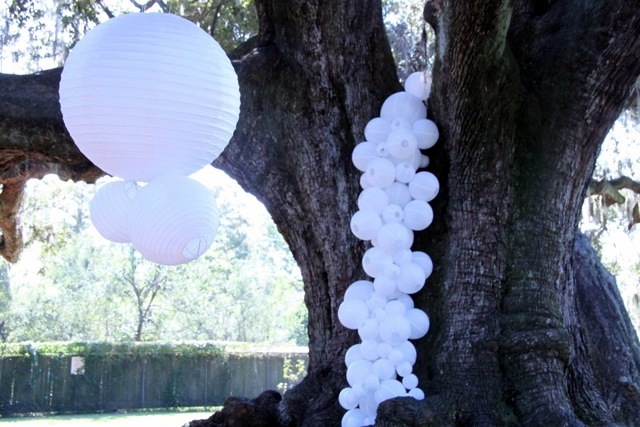 We constructed dozens of paper lanterns so that they would spill out of the tree, meeting hundreds of ivory rose petals at the roots of the tree. Burlap aisle runner decorated with rose petals matched the outdoor setting perfectly. 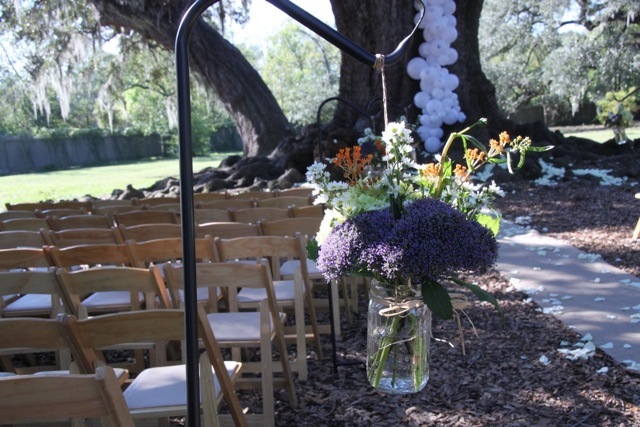 Along the aisle we set up shepherd’s hooks with ball jars filled with wildflowers. The limbs of the Tree of Life were strung with more paper lanterns and the natural Spanish Moss that fills the tree year round. The reception was held at Rosy’s Jazz Hall– a perfectly intimate space with enough room for a stage and dance floor. 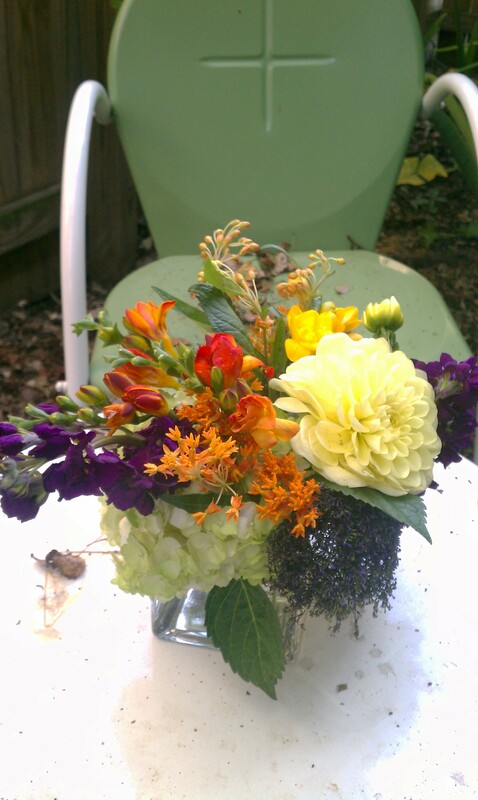 On the tables at Rosy’s we topped the tables with ball jars filled with dahlia’s in autumn’s shades, and votive candles in a light blue glass container. 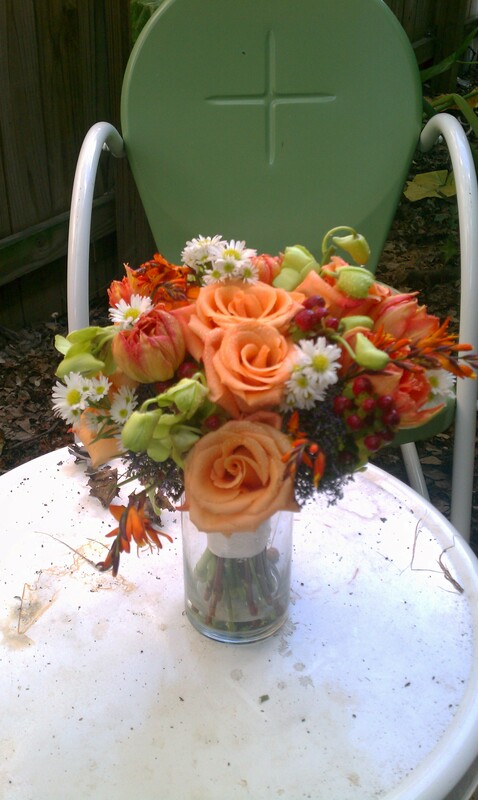 Our bride’s bouquet was filled with roses, tulips and a selection of wildflower. We wanted this outdoor wedding to reflect the couple’s great energy. We think this one was a wedding for the books! You can check out more photos of this wedding on our Facebook page.